For installation at LPZ 0A-2 or higher, or directly at the upstream near the protected devices. 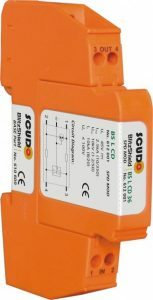 Provide protection for 2 single wire of unbalanced and balanced interfaces for measuring and controlling system. Design according to IEC 61643-21, GB 18802.21, YD/T 1542.